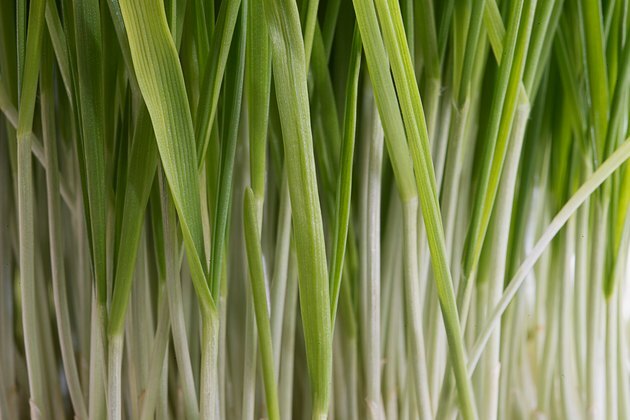 Wheatgrass is chockfull of chlorophyll, vitamins, amino acids, minerals and enzymes. Many people use wheatgrass juice to boost the immune system, improve energy or as a detoxifier. For the human digestive system to be able to access the nutrients, wheatgrass must be juiced or otherwise broken down. Wheatgrass juice can be purchased fresh or frozen, but if you're consuming large quantities of it every day, that will quickly get expensive. 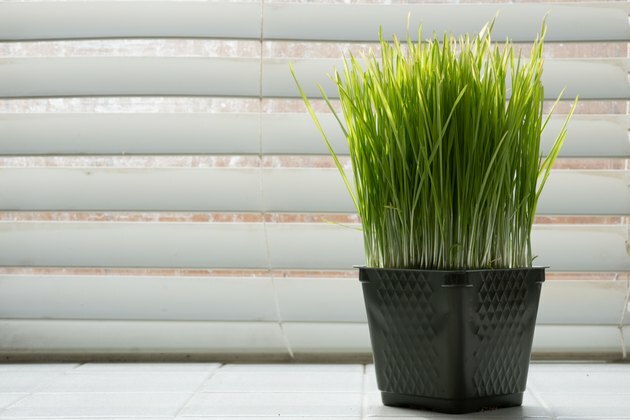 Growing your own wheatgrass is cheap and easy, and you can juice it yourself at home in a blender. Buy or grow wheatgrass. Wheatgrass can be grown in soil or hydroponically from red or white wheat berries, also called wheat seeds. You can also find trays of fresh wheatgrass for sale in the produce department of some natural food stores. Harvest wheatgrass just before blending for maximum freshness. 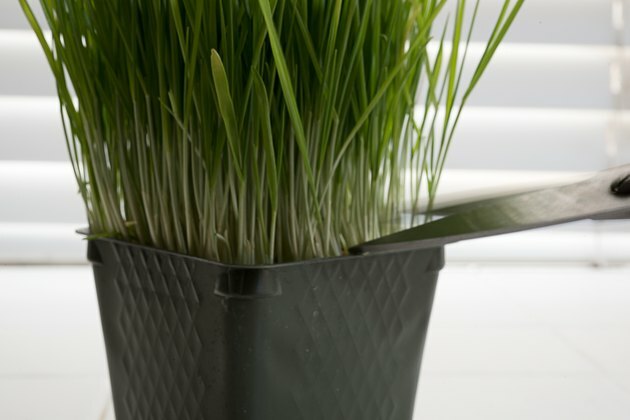 Cut the wheatgrass stalks with a sharp pair of scissors just above the soil, or just above the root system of hydroponic wheatgrass. 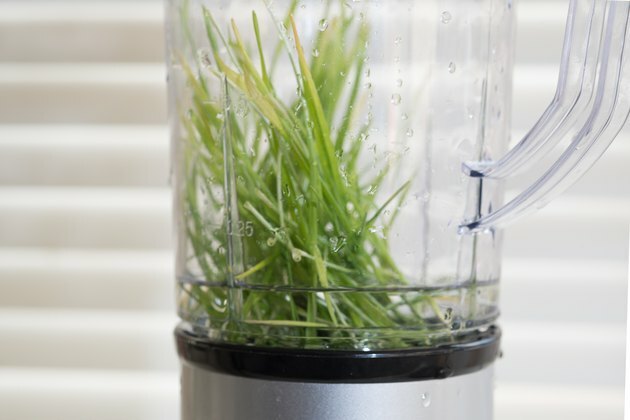 Place the wheatgrass stalks in the canister of the blender and add an equal amount of water. You may also use more water for a milder, more palatable beverage. 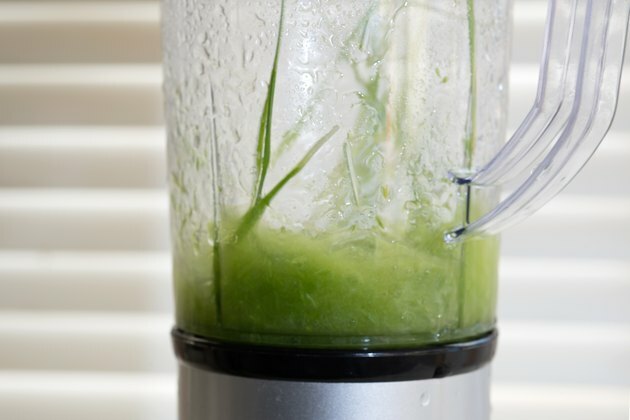 Blend on high for at least 60 seconds or until the wheatgrass is completely pulverized. 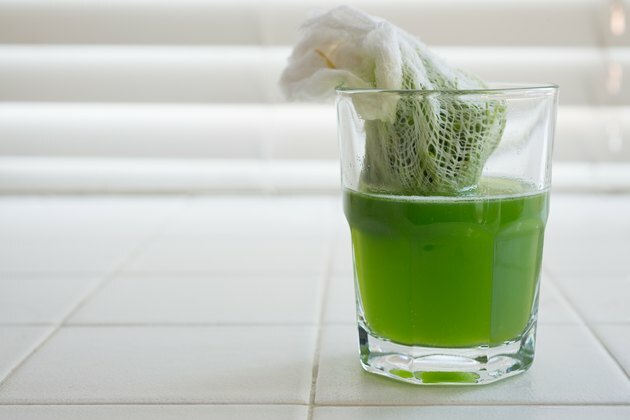 Strain out the wheatgrass pulp by pouring the wheatgrass and water mix through a few sheets of cheesecloth. Discard or compost the pulp. Consume the wheatgrass juice immediately. Wheatgrass juice is often added to fruit smoothies or juice blends. 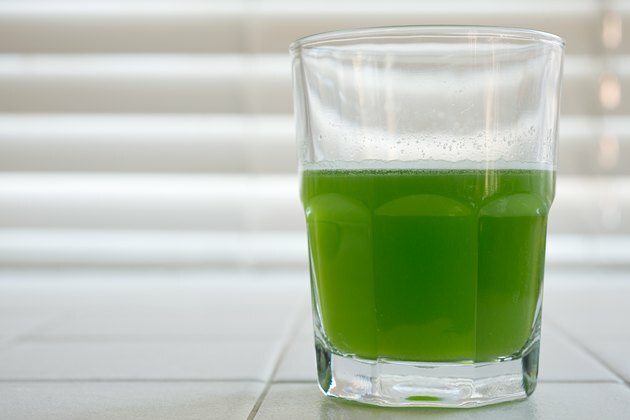 Wheatgrass juice has an intense flavor that some people find bitter or otherwise unappealing. Consider adding about a tablespoon honey and lemon juice to your wheatgrass juice before or after blending to improve the flavor.